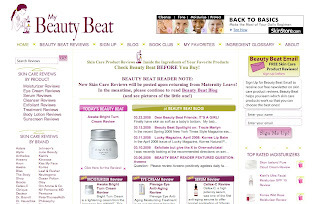 Beauty Beat helps women and men of all ages understand their skin, and learn which products and treatments really work. Beauty Beat provides education about a product or treatment’s ingredients and components to help you select those items most beneficial for your individual needs. The client needed a website that could accommodate an immense amount of content in different categories. The development of the navigation was key. Two Types of Left Navigation: The customer can search the site by review types, or by product types. The goal is to get them involved in the content of the site as soon as possible. Easy Advertising Management: Advertising slots were placed around the website, and the client can easily switch out the link and banner ad as needed. Dynamic Home Page and Side Column: The home page and right side column feature new content automatically. 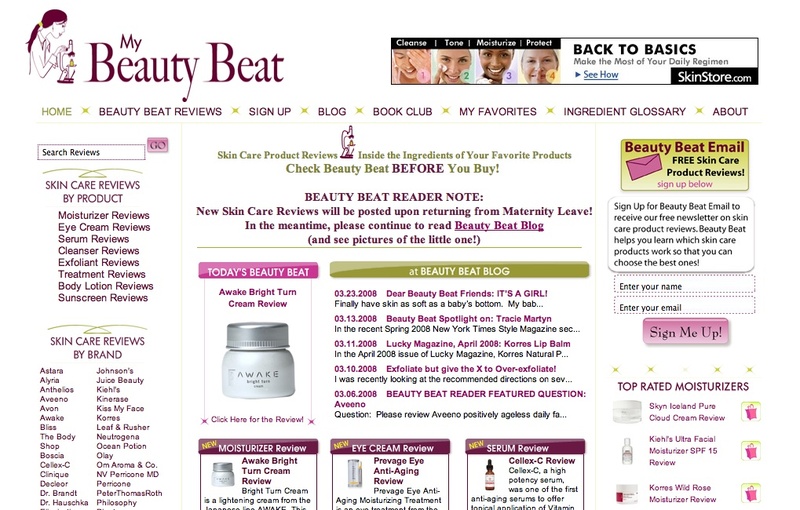 Newsletter Pulls Content From Website: We designed the Beauty Beat's newsletter, which can automatically pull content from the website.